Last weekend I went to DreamHack Summer and then right after to my brother. This is the first day that I don't feel tired since. I barely had time to sleep at DreamHack and when I got to my brothers place I fell asleep while reading a goodnight story to his child, at 7 pm... Luckily she fell asleep too :). 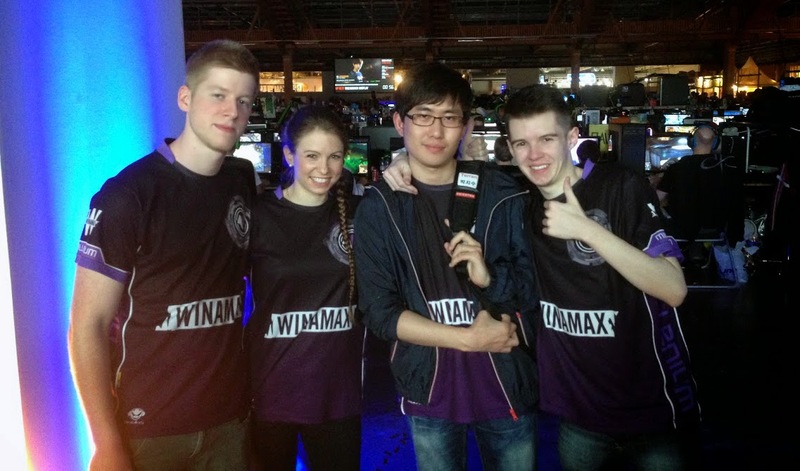 Millenium had 4 SC2 players at the event; Dayshi, ForGG, MLord and me. I always like to see them but this time I barely had any time to talk to them. Hope to see them again soon tho :). 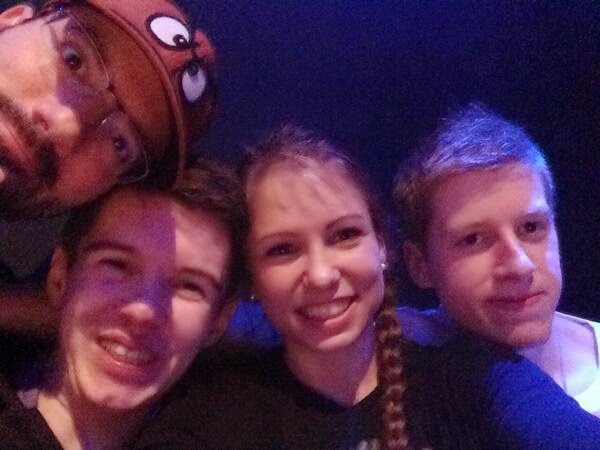 As always DreamHack was a lot of fun. I was working with amazing people and the atmosphere was just as nerdy as I like it! I played in the DreamHack open tournament. As I connected my gear I realized it was super cold at the player area. Luckily Logitech saved my day and gave me a (far too big) hoodie! 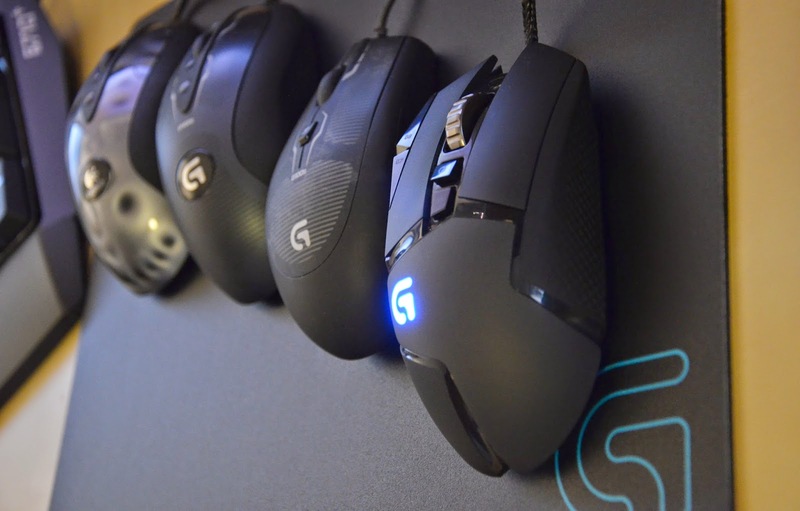 As you might know I've been working with them for the launch of the mouse I'm currently using, the G502 (https://game-enough.com/). 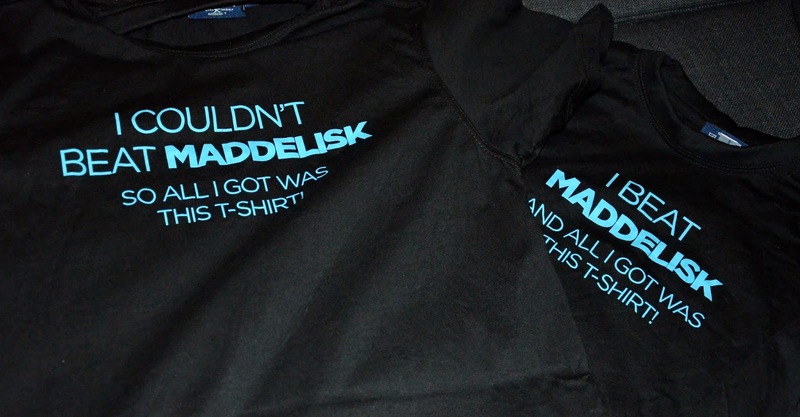 They also made some pretty cool t-shirts that people were walking around with at DreamHack. First match I played vs SpaceMarine. He is pretty good and I lost 1-2. Then I played vs the zerg player Icy. The first game might have been the worst game I played in 2 years. I don't know what happened to me but I felt terribly lost during the game. I managed to win 2-0 and then I had to face SpaceMarine again to decide who would move on. I won the first game and then we had to take a long break due to internet problems. After that I lost 2 maps and I was out of the tournament. I felt ok with my play vs him, I won the two macro games and lost the 2 base all-ins. I lack scouting sometimes and usually I have to pay for it XD. Will work on that! After I played my matches I met Tobias from the next generation of SC2 players. He went to DreamHack with his father who is also his 2v2 parther while playing. I must say that parents that are supporting their kids in esports are true inspiration. I hear so many players complaining about the way their parents are judging esports, but there is hope! Tobias also likes to watch the Swedish Championship, and he is one of the reasons why a Swedish stream is so important. 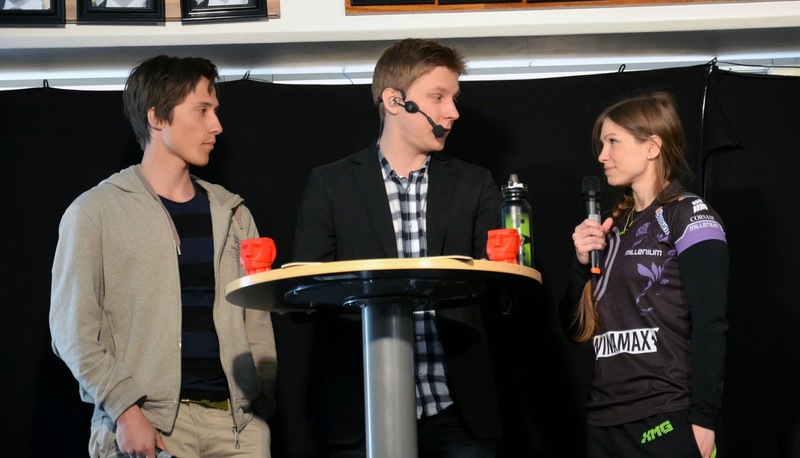 Right after my games I was casting the last qualifier of the Swedish Championship. As many of you might know Sase won it. He was a bit dusty but I was happy to have him back. The day after the finals were played. 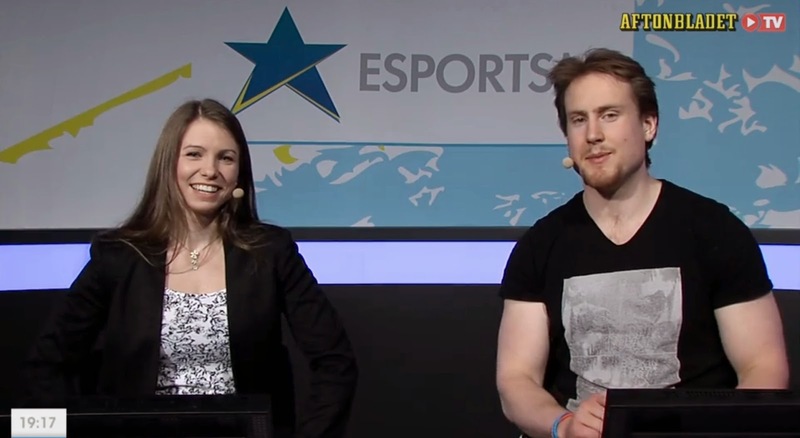 We had to guess who would make it to the finals and my guess came true, ThorZain vs Zanster. I both guessed and hoped to have those two in the finals because Thorzain has been in the top of the Swedish StarCraft Scene for a long time, and I felt that it would be great to see him vs the "new" star Zanster. As always with the spoon Terran the first map took 1.5 hours. After 5 maps Zanster came out as the winner. He was a great winner and I'm very happy for him. With this win he took home a bigger cash prize than Taeja, who won the DreamHack Open tournament, and he didn't have to lose to a champagne bottle! That the DreamHack Open SC2 tournament is broadcasted on TV is pretty amazing. I got quite a few emails from people who knew nothing about esports or SC2 who thanked us and wanted to know more. This is a really good way to reach people who are not already introduced to the world of esports. I am very thankful to be a part of it! It's Summer in Sweden and I will be traveling a bit, visit my family etc. 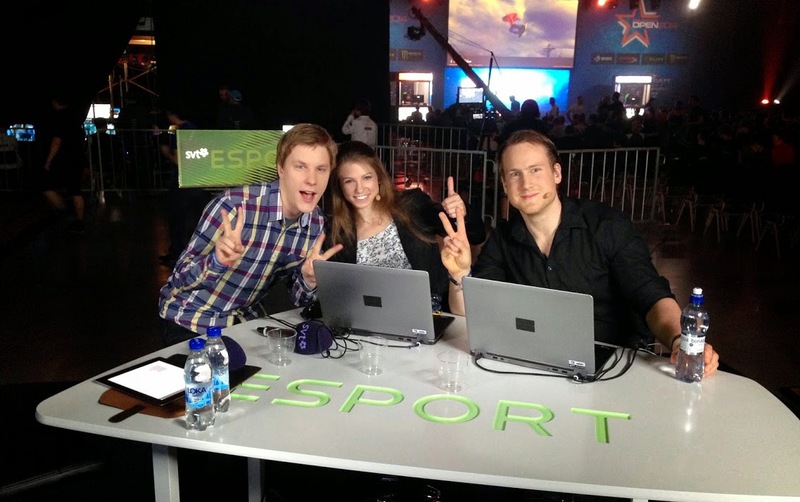 In a month I will be casting DreamHack Valencia for Swedish TV (from a studio in Stockholm)! My next tournament will probably be the qualifier to the IeSF World Championship that I think will be held in August. DreamHack is in just a few days. Sadly I had a cold all of last week and was unable to practice the way I wanted. That also means that I’m super happy now that I’m well again. Yesterday I was so happy that my body was working properly that I went to the gym twice. And today I went to an outdoor gym/playground to warm up before the gym :). I have a lot of energy and am doing better at StarCraft 2 too. I just hope I can relax while playing at DreamHack as I always tend to get very nervous playing at offline events. It might be even harder to relax this time. I normally bring Nutella to events, it makes me feel more like home as I eat it a lot while playing. But this time there will be no Nutella at DreamHack. Nuts are forbidden in the area due to allergies. I totally understand this and feel a bit stupid since I never even thought about it before. I’ll keep a jar in my hotel room tho, so that I won’t miss it too much! Since we are talking about Nutella I have a confession to make. I told you many times that there is nothing better than Nutella with Nutella. Not bread, not baguettes, not anything else than Nutella with a spoon. But I was wrong. There is something quite a lot better. Nutella with ice cream! I just take some Nutella and mix it with ice cream (1:2) and eat it. This is like a revolution to me. And it’s all thanks to my followers that I even tried it. People keep sending me pictures of Nutella and recipes, and it’s not for nothing! A few people linked me to a page where I saw the Nutella ice cream. And it’s totally perfect now that summer is here! So thank you! DreamHack is always a great event. This time I will be super busy. Day 1 I’m playing and casting the last qualifier of e-sport-SM (the Swedish championship). Day 2 I’m casting the finals of e-sport-SM and day 3 I’m casting from Ro8 of the DreamHack Open tournament for Swedish TV! 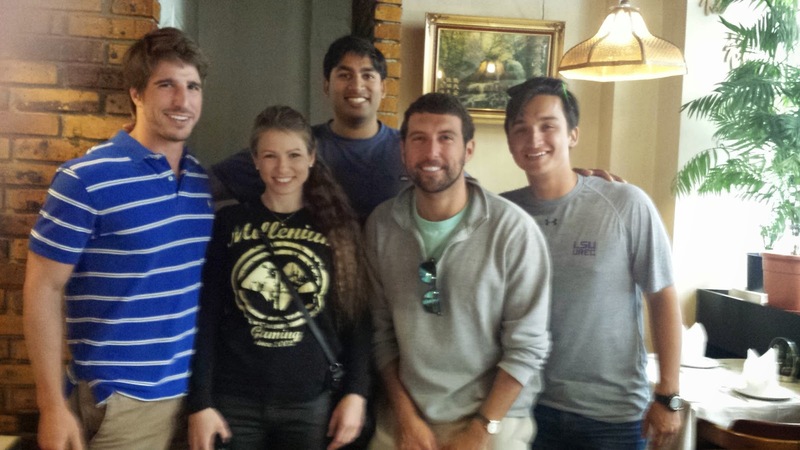 I also have a few meetings and want to spend time with my team and everyone else. Don’t hesitate to come say hi if you are there tho, I will try to make time :). To be realistic I don’t think I will make it out of my group. My group consists of me, StarNaN, SpaceMarine and Icy. Both SpaceMarine and StarNaN are good players and Protoss, the race I lose the most to right now. I will of course do my best but I will try not to be too hard on myself if I don’t make it. Let the DreamHack hype start! The banelings are there to scare me. I lost to ling+baneling allins too many times before! And the trophies are there for motivation. I recently started using a wireless headset for the first time (Logitech G930) and I love it. It's so awesome while I'm talking to friends on skype. No more "brb" or "afk", I can just walk around in the apartment while on skype. I might be late to the party but it's just amazing . 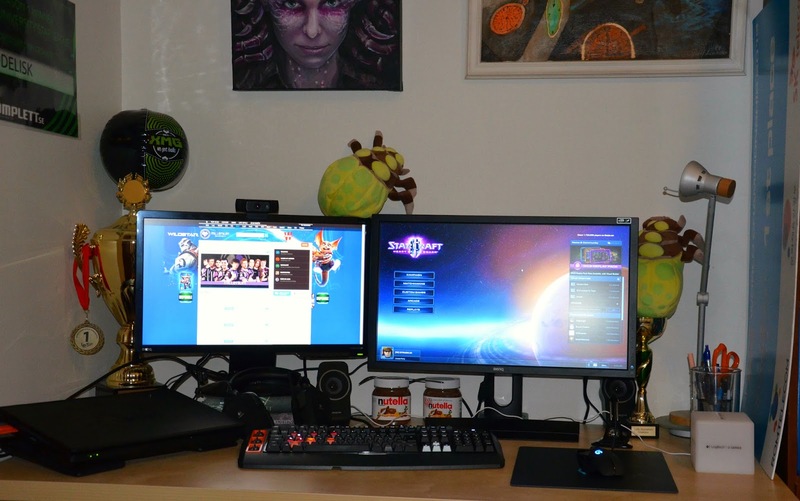 Above my desk I have the painting of me morphed with Kerrigan. It's a bit hard to see so here is a better picture of it. I'm playing on a XMG notebook. It takes up some space on my desk but it's totally worth it to play on a laptop considering how easy it is to bring it while traveling. Oh, and I started using a 144 hz monitor. I'm late to the party again I guess, but it's actually quite a big difference. I love it! 1 week, 2 tournaments and 2 wins! 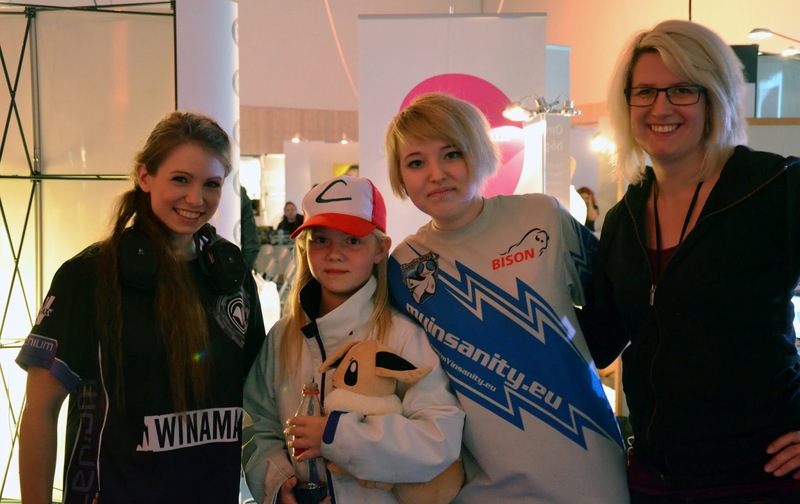 In the past week I played in two female offline tournaments, one in Paris and one in Uppsala. How I did is not the important thing here. These tournaments were more than "just" tournaments to me. It's more about meeting other people that shares my big passion for the game. 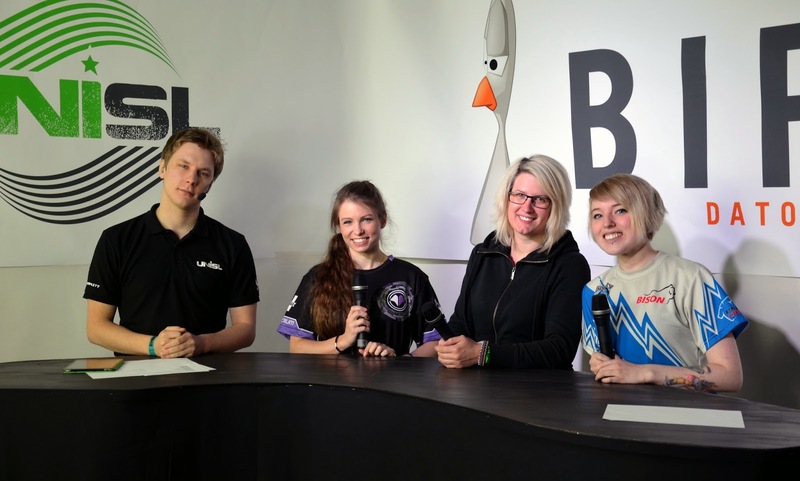 Normally at events there are very few girls, so female tournaments are more special to me since I'm a girl :). I really like how the events succeeded to motivate girls to play and how we found new female faces in the Swedish community. 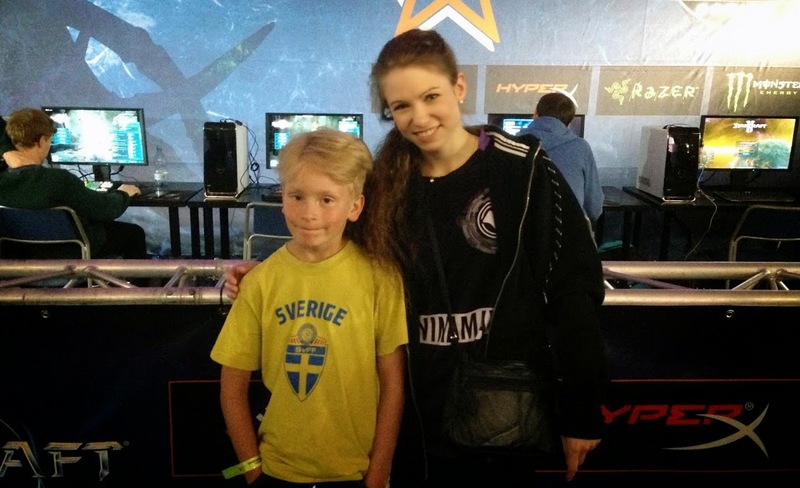 For example I got to meet the 9 years old Protoss player Saga. She came to the Swedish event this weekend in Uppsala with her dad who is supporting her play 100%. Seeing things like this makes me super happy. If it wasn't for the female cup she would probably not have played her first tournament this weekend. The same goes for many of the other participants. 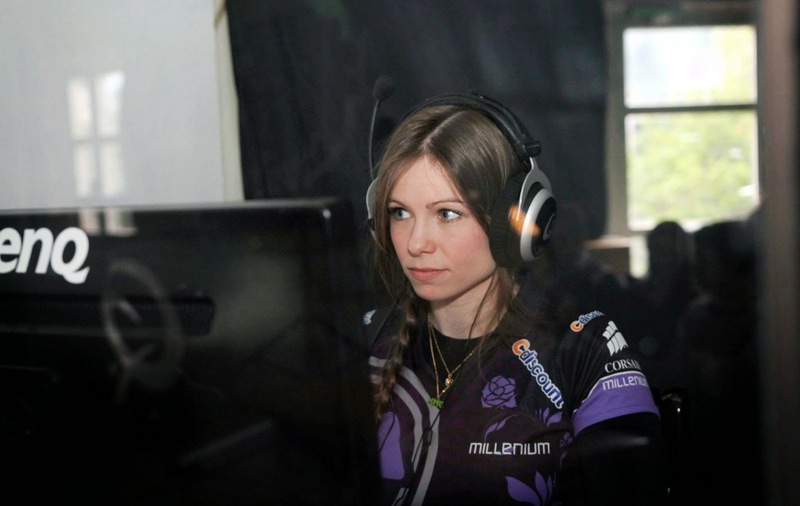 The Swedish tournament was a part of a new project "inkluderande e-sport" that will hopefully change the fact that there are so few girls in esports. In SC2, for example, less than 5% of the players are female. Me, Saga, QueenE and Trulz. UniSL was there to do the production. I uploaded some more pictures on my facebook page. 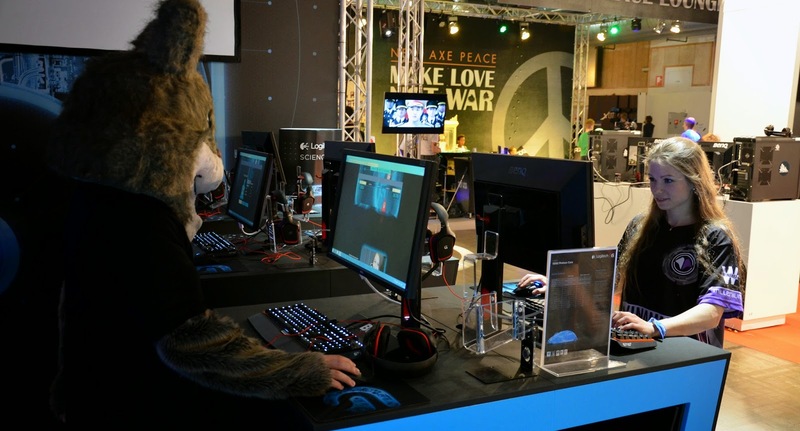 This tournament was held at Meltdown in Paris. I played vs seven female players from France and in the finals I got to play Akane again (we played in the finals of the IeSF World Championship 2013). It was really nice to talk to all the girls and I love the community they have. The crowd was really amazing. Right before the tournament I went to a restaurant alone to eat. At the table next to me sat four american guys. We started talking and they turned out to be huge SC2 fans. They loved the game and so I told them about the tournament and they went there to check it out. They joined forces with a Swedish guy I met the day before and they cheered for me all night. It was super cool! The guys I met at the restaurant. 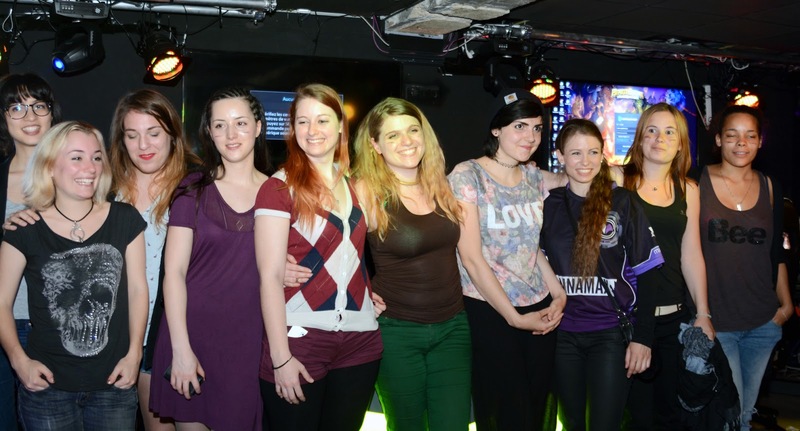 In France the female community is really big around SC2. It might be the biggest of all countries! That is something that made my trip to Paris last week extra special. I tried to figure out the reason why :). It's not just the female community that is bigger. In France I feel like the community is closer to the players, casters and organizations. Meltdown Paris, a dedicated esports bar where people go every day to watch esports. A bar that organizes events, a place you can go to meet others who loves esports etc, it's pretty amazing. In Sweden we have STHLM e-sport. They are doing a great job but it's a lot smaller when it comes to events and frequency. While in France I also had some time to hang out with my teammates Dayshi and MLord and my super nice manager Llewellys. I had a really great trip! I have some cool news. If you followed me for a while you know that I’ve always had a thing for Logitech mice. My first gaming mouse was the MX518. Up until a few weeks ago I’ve been using the Logitech g100s. Recently I got to try the new g502 Proteus Core and that is the mouse I’m currently using. This weekend I was playing in top 8 of University Star League. I managed to beat Xylla 2-0 but in the semi I fell 1-3 to Mekar, from Team Property, who later won the tournament. We had some really close games so I’m not super disappointed even if I obviously wanted to win. 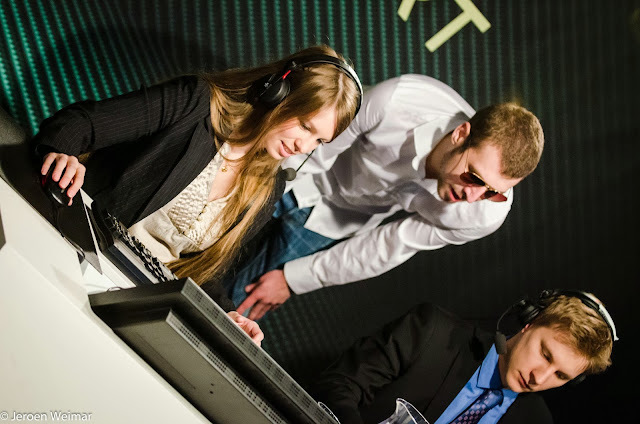 The day before I was casting e-sport-SM (Swedish championship qualifier) from the DreamHack studio in Stockholm. Casting is of course something that takes up time and sometimes, depending on the timing, even focus from a tournament. But casting also has a positive effect on me as a player. When I’m practicing I’m often watching replays and streams to get inspiration for my own play. While casting I’m watching the game super carefully and not only from a zergs perspective. That makes me realize details I’m usually not seeing while watching replays at home. It can be the way players are scouting, or to see small indications of what builds players are going for or ideas for new builds. It can actually be really helpful. The past months I’ve been casting almost every weekend (in Swedish). 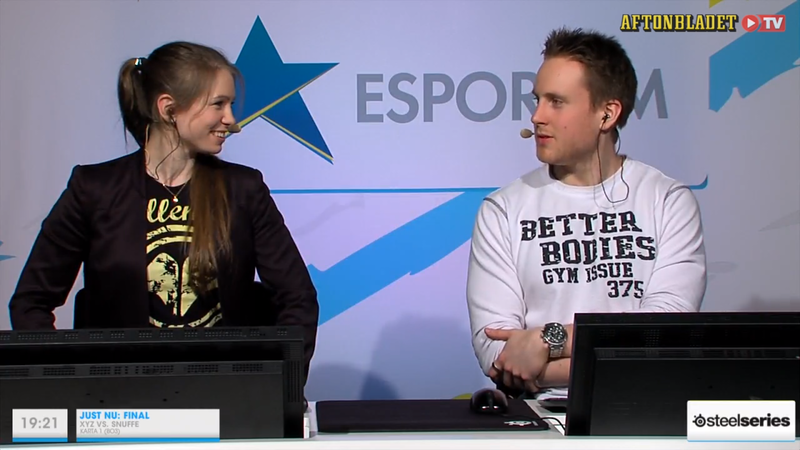 A week ago I was casting on Swedish TV during DreamHack and will continue to do so most likely. This is a big opportunity to spread the word of esports to people who doesn’t follow it or doesn’t play at all. I love it and I hope more countries takes after :). I love casting zerg players. That is the easy part since I play a lot and have a good understanding. When it comes to the other races it’s a bit more tricky. Since I got so many casting jobs I decided it’s not enough to just watch other match-ups and study strategies. It was time to put some time and effort into playing another race. I gave both Terran and Protoss some games and realized that it was easier for me to learn Protoss (Power of Protoss). And so I started to play. My PvZ was super gosu but I was terrible at PvP. I also realized that this was also helping my ZvP as I got a better understanding of Protoss. I reached Diamond but didn’t get to master as Protoss yet XD. Sometimes when I lose as zerg I get a bit frustrated and then it’s pretty nice to switch to Protoss and play a bit more casual and abuse the race. So playing another race ended up being a great idea! Ayway, after UniSL I felt very motivated to play. I have plenty of ideas and I already have a few tournaments planned for the coming months. 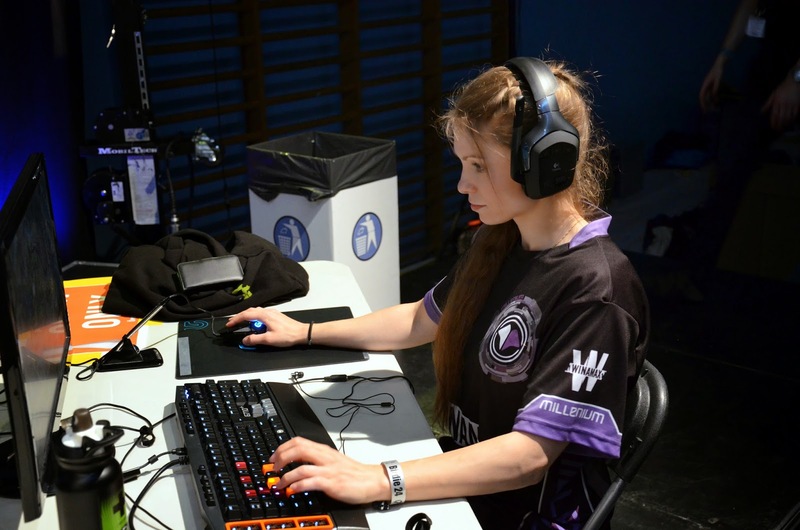 Hopefully I will also play in the iesf female world championship later this year :). I’ll keep you updated on facebook and twitter!